Cats need exercise, but it's usually not as easy to figure out how to entice them to do it as it is with dogs. You might need to use some different techniques to get your couch potato cat to move around, but it's really important that you do so. Cats need exercise not only to stay physically fit but also to remain mentally sharp and to combat boredom. A bored cat is a mischievous cat, after all. 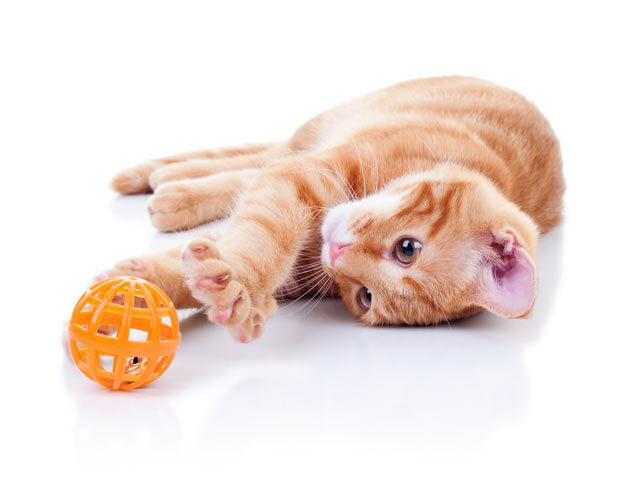 Here are a few ways to encourage your kitty to get some necessary exercise. Interactive play between you and your cat is the number one way to encourage not only physical exercise but also mental acuity. 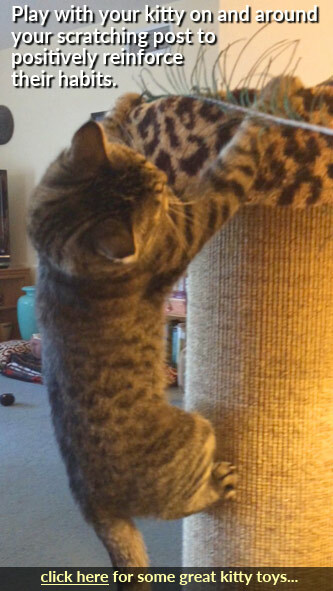 Cats are hunters, but indoor cats don't get to exercise those instincts too often. You can provide your cat with an alternative to a real hunt by using interactive toys that have you playing the part of the prey. Get in touch with your acting abilities and put on some theater for your cat: act like a bird or rodent using a wand or throw toy. Make the prey skitter away from the kitty, freeze, and hide behind things at various intervals. Let your cat catch it sometimes. Be sure to move around as much as possible to encourage your cat to move, jump, run, and pounce. When you're finished with each play session, put the toys you used away. When you leave them out, your cat sees them as dead prey and loses interest in them. Keep a box of toys for this purpose out of your cat's sight and vary which ones you bring out daily. You can also use an automatic toy to encourage your cat to play. Laser toys like the Dart Duo and Frolicat Bolt can be great ways to get your cat moving, but you do need to use some caution. Cats can become frustrated and even develop anxiety related to laser toys because they can never experience a successful catch. You can try tossing a toy to your cat periodically while he is playing with the laser, so he has something physical to catch and attack. You should do this right before turning the laser off, too. The Frolicat Cheese Toy has a "Play While You Are Away" function that you can set to come on several times a day while you're gone. This can get your kitty up and moving even when you're not home. Get your cat used to wearing a harness and leash inside. Go slowly, and use positive reinforcement to help your cat get used to wearing them. Don't use a collar, which many cats can slip out of. Get a harness and be sure you know how to put it on properly. Always be on high alert when you're outside with your cat. Anything could happen out there, and you need to be ready to react, so your cat doesn't accidentally get away from you. Leash walk time isn't the right time to be scrolling through your texts or talking on the phone. Be sure your cat has visible ID, and a microchip is a good idea, too. Whenever you are outside with your cat, the possibility exists that he could get away from you and get lost. If he's microchipped, a shelter or vet clinic can scan his chip and reunite him with you. Visible ID tags with your current information on them can return him more quickly to you, as well. Some cats just don't like going outside, and that's fine, too. Don't push your cat if he acts fearful. Just go slowly and see if he comes around, or scrap the idea and use the other exercise techniques listed here. If your cat only has to mosey over to the food bowl to eat, he won't be getting nearly as much exercise as he would expend on mealtime if he were wild. While you won't be able to replicate the predator-prey food model completely, you can increase your cat's energy expenditure related to mealtimes by breaking his meals into smaller portions and hiding them around the house. This means that your cat will have to "hunt" around to find them, and he'll love doing that; plus, it will get him some extra movement. You can also provide your cat with a puzzle toy. You can place food kibbles inside, and he will have to work on it to get them out. That means that he'll have to burn some calories to get some. Cats love cardboard boxes and other small spaces. You can use this to your advantage to create an exercise area for your kitty. Get a big cardboard box and place a jingly ball inside. Voila: instant kitty gym! Your cat can bat the ball around, and it will hit the sides of the box and jet out in unexpected directions. You can also do this in a bathtub that has a mat on the bottom. 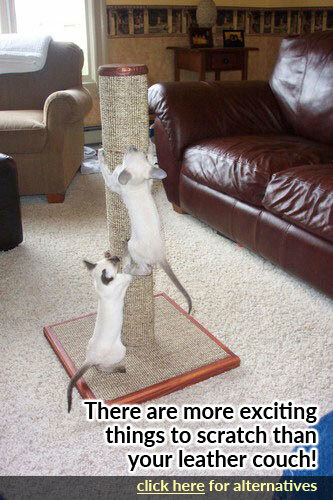 This is not only a great way to encourage your cat to exercise, but it's also a fun way for you to spend some time.